The heart of your engine is its fuel injection equipment and the major enemy of this equipment is poor quality fuel. From extensive research and testing, Clarcor found that variations in fuel quality around the world can adversely affect today’s precision fuel injection systems. Poor quality fuel can cause performance issues, premature wear, gumming of components, and plugged filters. To resolve these issues and to provide protection of the fuel injection system, Stanadyne Additives offer a variety of diesel and gasoline additives for every application and operating condition. 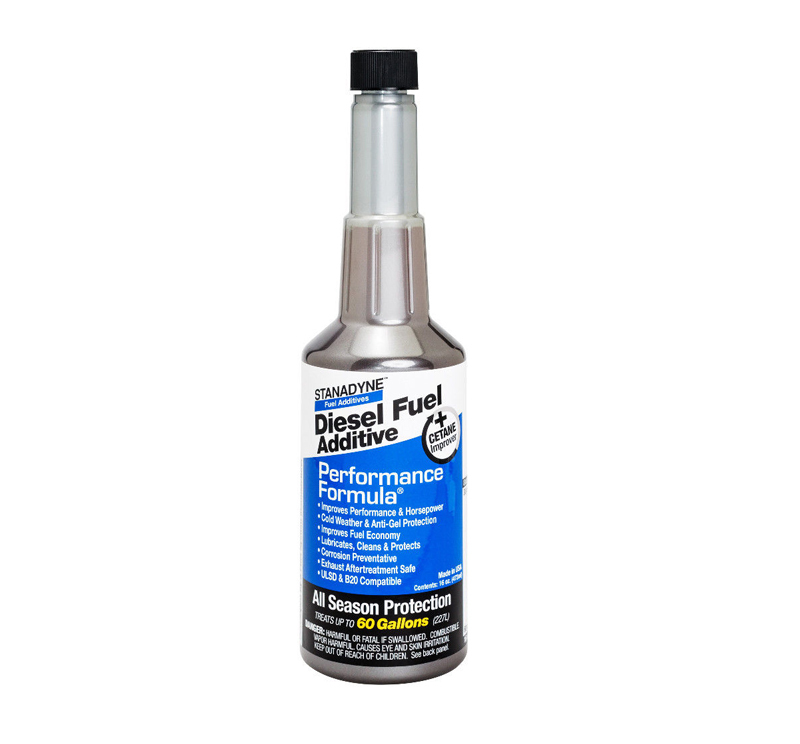 Stanadyne Performance Formula protects your diesel engine and improves engine performance. The detergency and cetane improver in Performance Formula will help restore fuel economy, increase horsepower and torque. 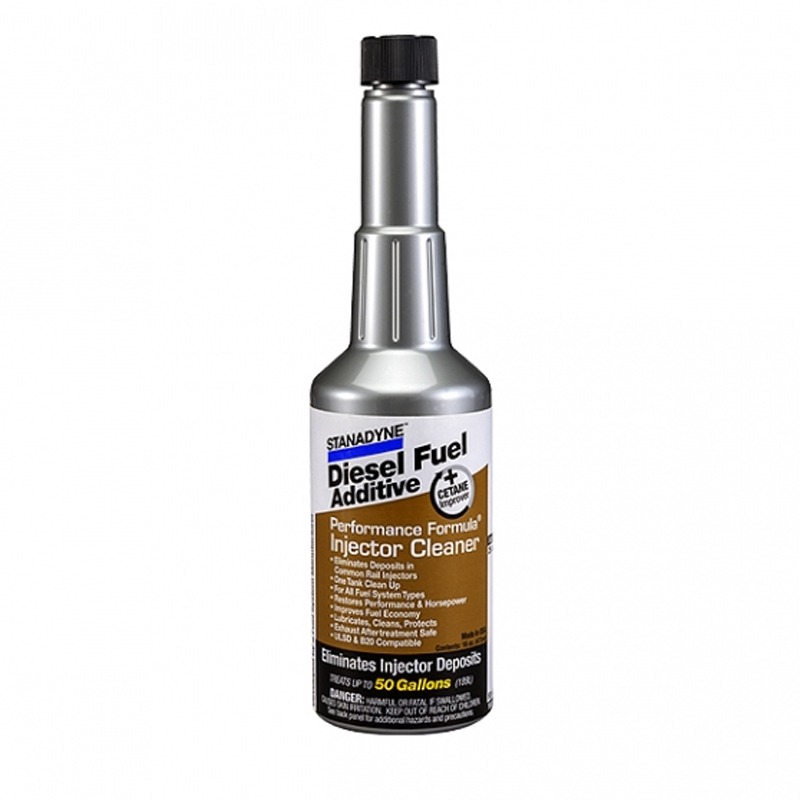 To help restore your engine's maximum fuel economy, horsepower and torque as outlined above, use Performance Formula All Season or Warm Weather Blend with every fillup and treat with Performance Formula Injector Cleaner 4 - 6 times per year. We supply a full range of Stanadyne Additives for automotive and diesel applications.